Nature Whatever it is, it is pretty. It is clearly a versatile lens that can be used for street-shooting, portrait, night scenes, some landscaping... Of course it might not always be the most suited lens for all occasion. As with any prime, you will have to make efforts, moving around, to find the correct perspective of the scene you want to shoot. 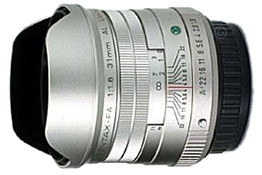 However, if you have to choose just one prime lens to go out for shooting, this is it, undeniably, unless you are just interested in a particular style of shooting that this lens will not offer you. As many FA31 owners, as can be read on pentaxforums (perhaps in the FA Limited club thread) my camera has it on 80% of the time. The rest, is because I’m going hiking in some dangerous place where I prefer to have a plastic lens that I don't mind getting hit, or because I sometimes want to have fun with some other lenses just to say I own them for a reason ;)! Of course, at this price, it is a lens for enthusiast users or professional and artists needing the quality it will bring. In the samples I provide later, I tried to select a variety of what I commonly shoot. Lots of street-walking photographs, It is indeed a great lens when visiting a new city. Some landscape, yet it is quite narrow, on an APS-C sensor, so it is the limit of landscaping, but it's sharpness and color rendering always gives it a good reason to take it out on a hike. Some food shots, when you want to get close to this plate to capture the texture of the food, and you also want to play with some DoF effect and get a great blending of the colors there. Food is also one kind of shooting for which sharpness contrast and saturation of colors is extremely important if you want to capture the tastiness of your meal. Ambiance scene, again playing with DoF it is great to capture the ambiance of coziness in indoors where the low light will not be a problem for this bright lens. Arts, of course, you can easily play with shadows and light, DoF and focusing on unusual parts of a scene to create questioning and mystery in your picture. Architecture, is also quite challenging. Yet again, the lens is pretty narrow for that kind of shooting (on APS-C), but wide enough to capture parts of a scene on which you want to focus. For examples, it is perfect to capture a down way shot of a hall with its arcades. Portraits, again with its beautiful Bokeh you can get nice 3D effect and get the best pictures of your friends and family. And last but not least, night scenes, it is such a pleasure not to need a tripod when you are walking in the streets visiting some place. Ready to get your Pentax-FA 31mm F1.8 Limited? Click below to place an order or check current pricing.